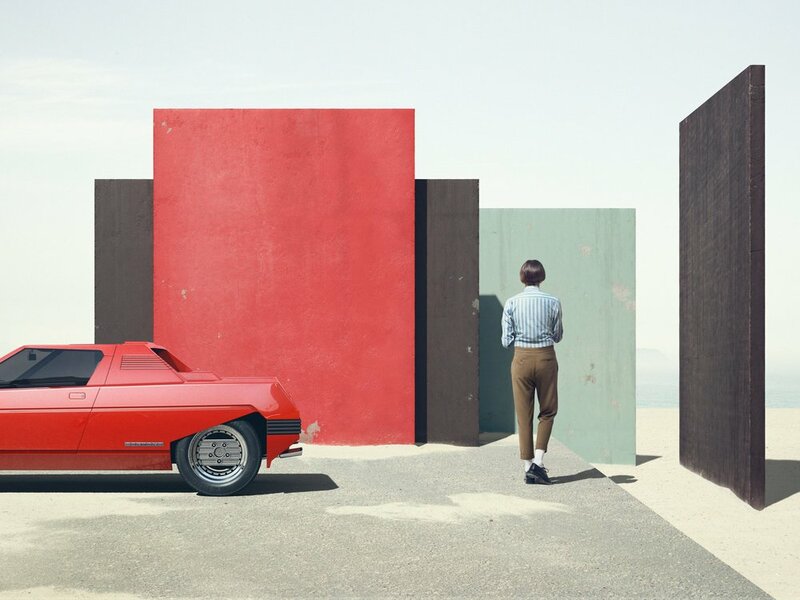 Clemens Ascher dreamt up ‘this surrealistic and graphic world featuring mysterious monuments, the legendary Ferrari Rainbow and its furious drivers’ – a minimalistic and metaphysical series in three subtly muted primary colours. 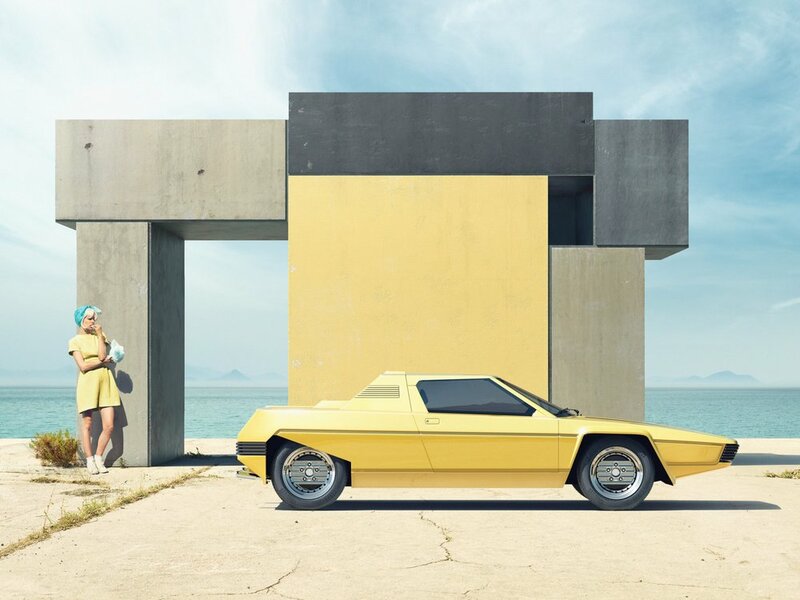 The ultra-distinctive stylings of Bertone cars are epitomised by the angular Ferrari Rainbow. This astonishing wedge-shaped concept car from 1976 never went into production and the prototype remains concealed in a private collection. Through CGI, Ascher and London-based, Recom Farmhouse, set out to bring it into a uniquely imagined world.